When the internet and email came along in the late 90’s, many projected the death of the fax machine. Sure enough, fax machines are not the office staple they once were. However, one peek into the healthcare industry and you’ll notice something odd - fax is as prevalent as ever with the majority of health records being transmitted via fax even in 2018. Technology innovation is largely driven by user demand. For every problem out there, there is an army of young companies aiming to solve that problem and make your life easier. So how does it happen that a 175 year-old technology is still being relied on to transmit data in an industry as large and important as healthcare (not to mention several other industries)? The answer can be found in the regulations that govern those industries. You see, the Health Insurance Portability and Accountability Act (HIPAA) as well as the HITECH Act govern how health organizations create, store, interact with, and transmit sensitive data. 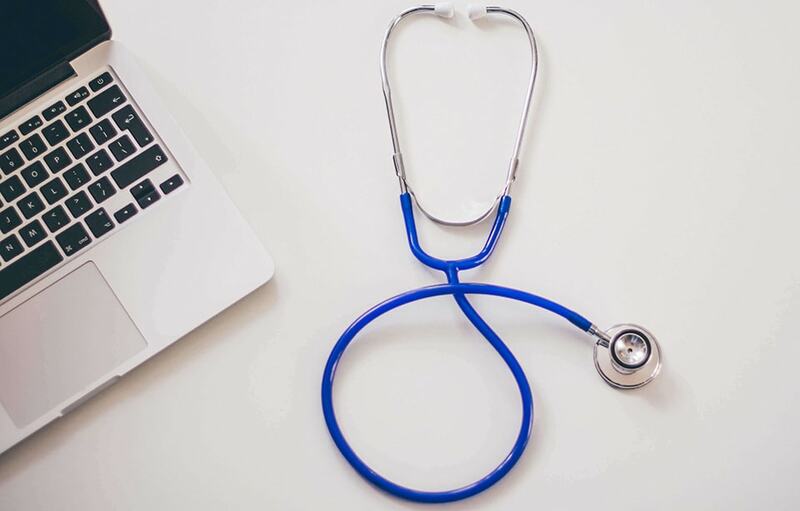 Although there are many systems a company can choose from to manage health records, fax remains the only universally known and accepted standard for transmitting a document securely from one provider to the next. The fax machine inside a modern hospital is an object of curiosity for an outsider. “Why on earth do these people use fax machines?” they wonder. Who can blame them? Nobody gets out of bed excited to go to work and play with a fax machine these days. But, for the ones who run the hospital - from doctors to administrators - this ancient device is the heart of communication flow. As much as it is the core of internal communication, traditional faxing systems come under constant criticism as the healthcare sector is upgraded by technology. Farzad Mostashari, former National Coordinator for Health Information Technology for the US Department of Health and Human Services, remarks that “I think if we want to kill the fax, we need to schedule a funeral”, an emotional appeal to bring legal changes required to digitize health care with a secure communication network. But the pressing question is, can fax actually be killed? According to a report by Vox, 75% of all medical communications are through fax machines. Fax continues for a number of reasons, including the ease of using a system that has been in place for decades. A transformation requires skilled staff, training, and a lot of time to adjust to the new technological development. On the economical side, fax does provide a cost effective solution to the alternatives present in the market. That being said, relying on traditional fax may just cost the healthcare business a lot in the near future. This dependence on traditional fax machines comes with a lot of setbacks, like slowing down business and compromising on patient care. While the HITECH Act enabled Electronic Health Record (EHR) to be accessed by patients and designated third parties, internal communication within a hospital is still stuck in the archaic methods of faxing documents from one department to the other. This often results in misfiled or misplaced documents, incomplete or messed up information due to fax noise, or at times a faxed file does not reach the other end resulting in delayed communication. Another potential issue with traditional fax machines is the security risk for a machine that’s working 24/7, printing out sensitive personal data. These challenges are formidable for the healthcare industry in particular, because there are lives at stake. Broken communication also hinders patients from relying on a certain healthcare provider. So the short answer to can fax be killed is: every technology has a replacement but the transition from fax will most likely be a slow one for the industries that have embedded the protocol into their workflow and rely on it for compliance. The good news is there are modern options for using fax protocol that don’t depend on clunky fax machines or dealing with paper and ink at all. Cloud fax services for example, can help level up the internal communication and workflow in hospitals while helping them maintain compliance with HIPAA. When internal departments can exchange information over secure cloud fax, it will loosen all knots in communication channels. Online fax services allow fax to be sent and received via email, secure web interface, API, and sometimes even fax machines, speeding up the communication process and modernizing workflow to keep up with the pace of modern communication. This will have a positive impact on administration as there are no more documents flying around, waiting to be filed, scanned, or distributed. Better patient care will be facilitated by secure storage and transmission of patient records. In an age where data is more expensive than gold, data encryption is of utmost importance. With a reliable cloud fax service, HIPAA standards for protecting the sensitive patient data will also be met. Services like mFax helps hospitals to make the switch with minimum efforts and maximum efficiency.